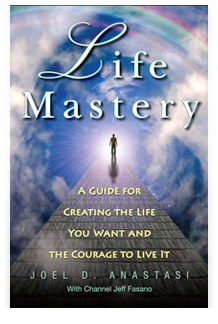 The Life Mastery Program is a guide for empowering you to create the life you want and the courage to live it. Joel Anastasi developed this sixteen-lesson self-help program from teachings of the Archangelic Realm of Michael channeled by Jeff Fasano. Life Mastery helps you consider the meaning of your life and, if you choose, guides you to develop a new life path by exploring the questions: Who am I? Why am I here? What should I be doing with my life? The program begins to shift your consciousness in a way that will change you and your life forever.